Why does it seem like the lightest and thinnest laptops always have the bulkiest chargers? Laptops are fantastic until you have to travel with them and carry all the necessary accessories that go along with them. If your laptop only weighs 2 lbs, but the charger and cable weigh 1-2 lbs, where’s the advantage to having an ultra weight laptop? That’s why the FINsix Dart laptop charger looks really good to me. Let’s check it out. The Dart is available in 5 colors: blue, magenta, silver, gunmetal and orange. As you can see, I was sent a blue Dart. The design of this charger is great. It’s only a little taller than two Apple style USB power adapters stacked on top of each other. The Dart has no buttons or LEDs. It just has 2 prongs on one end and a connector for the 6 foot long cable on the opposite end. 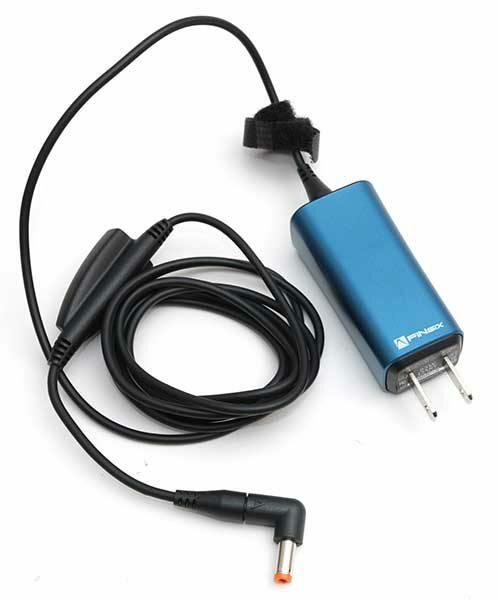 The cable plugs into the Dart and has a plug on one end that will accept one of the included tips. The tip you use depends on the laptop you want to charge. 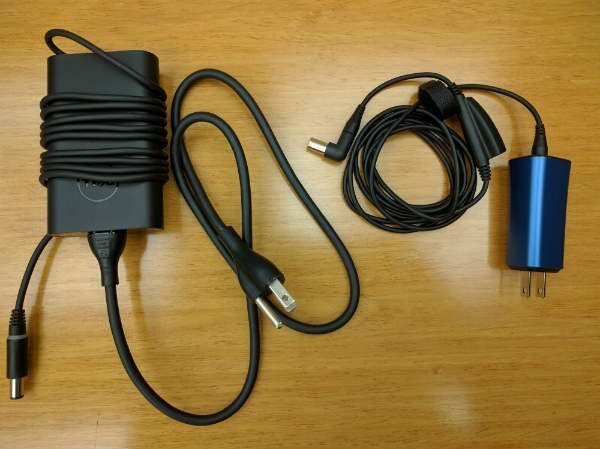 The cable also has an inline USB port so that you can charge the laptop and a USB device at the same time. Be aware that the cable work as a stand alone USB charger. 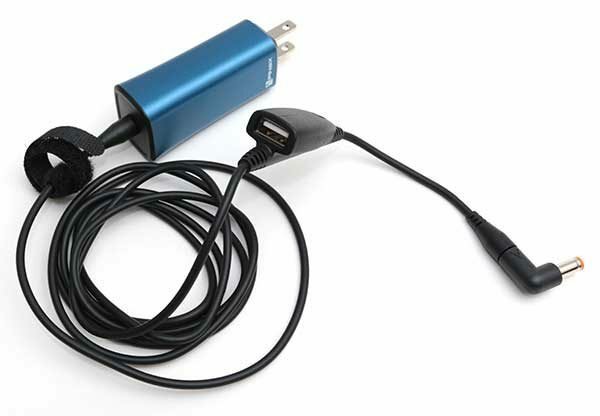 USB charging will stop if you unplug the Dart from power even though the cable is still plugged into the laptop. In the image above, you’ll see a Dell laptop charger next to the Dart. There’s definitely an obvious difference in bulk. I tested the Dart with a Dell laptop. Unfortunately, the Dart will not work with MacBooks. It may also not work with Microsoft Surface or some Chromebooks. that require 12V since the Dart outputs 18 – 21V which most laptops need. 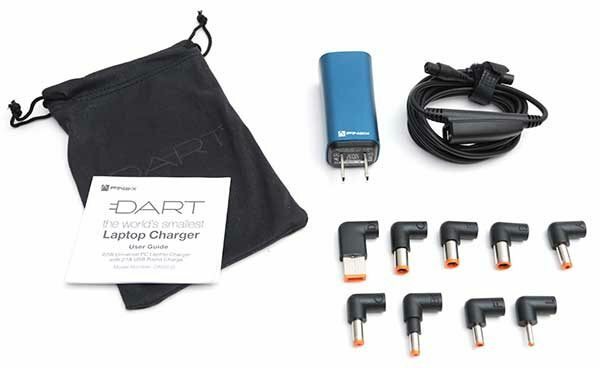 The Dart laptop charger offers over voltage and short-circuit protection, so it’s a safe alternative to stock chargers. It charged my Dell laptop and an iPhone at the same time with no issues. The Dart adapter gets very slightly warm to the touch, but no more so than other adapters. Although it’s pricey and there’s no love for MacBooks, Microsoft Surface and Chromebooks, I love the Dart. When you’re traveling, every ounce makes a difference, so the Dart is great for minimizing weight and bulk when traveling with your laptop. The fact that it has a built-in USB port makes it even better. The FINsix Dart gets two thumbs up from me. 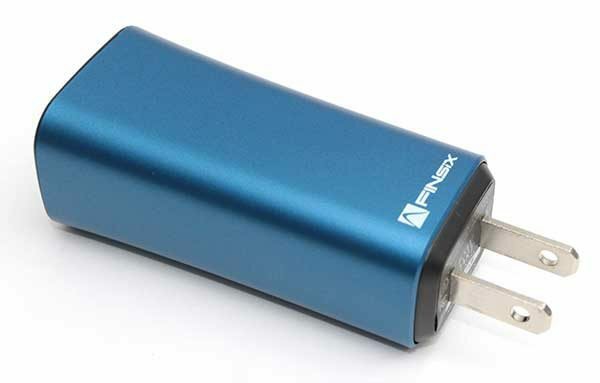 Source: The sample for this review was provided by FINsix. Please visit their site for more info and Amazon to order. $100.00 bucks for a charger? I don’t think so. “Dart with a Dell laptop. 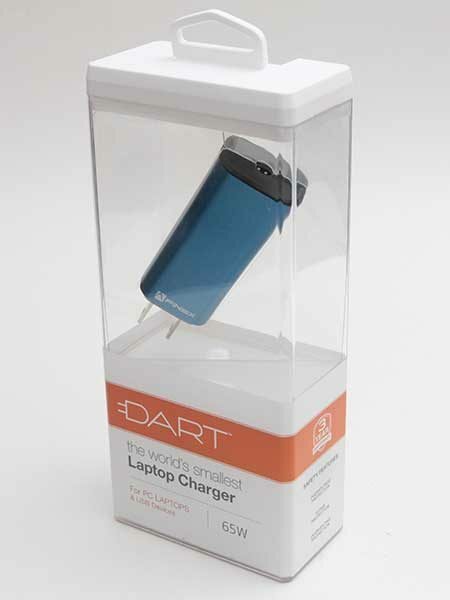 Unfortunately, the Dart will not work with MacBooks, Microsoft Surface or Chromebooks” Need I say anymore but I will. 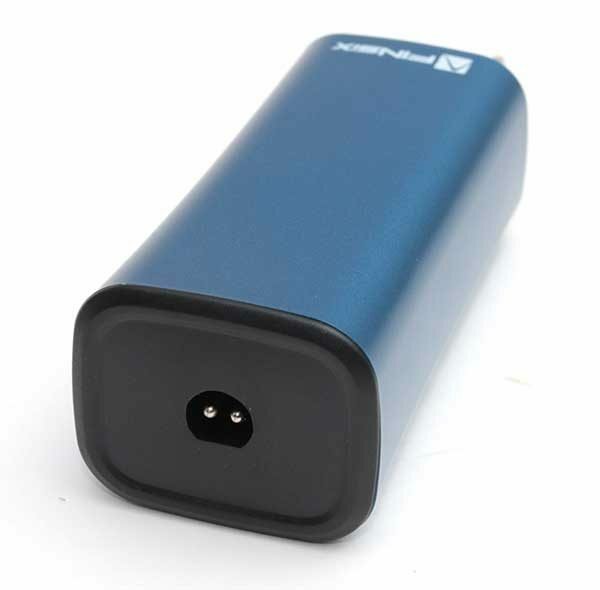 The Zolt is far better as the prongs fold and at 70w as opposed to Dart’s 65w is also superior on account of its ability to charge 3 devices simultaneously. That said neither device is “necessary” at $100 – almost the price of some really good laptops. Sorry but the Dart is a bomb that no one needs to or should want to touch. I bought a Dart. For the first time I’ve been able to travel with no bag…just my laptop and phone, and a Dart that fits in my pocket. @LionelB…the Dart is half the size of the Zolt…even with prongs folded. Also, there are no “really good laptops” for $100. I bought a Zolt. It broke after a week, plus it was bulky and I hated having to go back under the desk to plug in another device. I’ve had a new Dart for several weeks now, and it still works perfectly. The USB port is configurable to be at either end of the cable, but I keep it near the laptop end for convenience. Also, I backed the crowdfunding project…so mine charges both my Apple and my Lenovo X1. Plus, I heard they are introducing a Type-C version…that should charge Chromebooks and the new MacBook. Hey tman , which macbook are you charging with it?